5G-MOBIX will develop and test automated vehicle functionalities using 5G core technological innovations along multiple cross-border corridors and urban trial sites, under conditions of vehicular traffic, network coverage, service demand, as well as considering the inherently distinct legal, business and social local aspects. 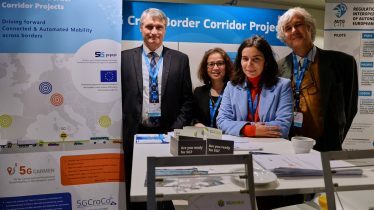 digitalisation of transport is organised by ERTICO – ITS Europe. The 5G-MOBIX project aims to achieve it’s goals through the following objectives. 5G-MOBIX will firstly formulate comprehensive requirements for CCAM using 5G. Formulate a comprehensive set of 5G technological requirements for advanced CCAM relevant for the automotive, telecom, IT and services industries, and for R&D and public authorities. 5G-MOBIX will conceptualize the 5G reference framework tackling the overall lifecycle, from design to deployment of CCAM and 5G network services. 5G-MOBIX will then deploy CCAM use cases as well as 5G road infrastructure and vehicles on x-border corridors and at local trial sites. 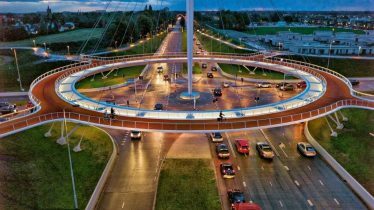 Eight trials have been selected to cover most challenging scenarios and use cases (urban and highway including cross-border) to ensure the validation and testing in a diverse set of 5G corridors rolled out in Europe, as well as Asia (China and South Korea) to further enhance alignment of views on 5G. 5G-MOBIX will use the data and experiences of x-border corridors and trial sites for cost benefit analysis and assessment of the commercial impact of technologies and deployment. 5G-MOBIX will explore and assess new business opportunities for CCAM with 5G. As a result of the evaluations and international consultations with the public and industry stakeholders, 5G-MOBIX will identify new business opportunities for the 5G enabled CCAM and propose recommendations and options for its deployment. 5G-MOBIX will scale up and replicate in order to provide global 5G deployment scenarios and recommendations for EU-wide 5G corridor deployment and beyond. 5G-MOBIX will define critical scenarios needing advanced connectivity provided by 5G, and the required features to enable some advanced CCAM use cases built on the cross-border and urban trials and the evaluation results. Recommendations will be provided to policy makers for the adoption of developed 5G technologies in European transport infrastructures. 5G-MOBIX will sustain standardisation and provide recommendations for spectrum allocation. Through its findings on technical requirements and operational conditions 5G-MOBIX will actively contribute to standardisation and spectrum allocation activities and cooperate with standardization bodies. 5G-MOBIX, 5GCARMEN and 5GCroCo have participated at the EUCAD conference in Brussels. 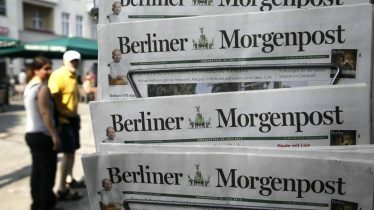 German local newspaper "Berliner Morgenpost" talks about the 5G MOBIX trial site in Berlin. The ITS European Congress is part of a bigger cluster of ITS Congresses. 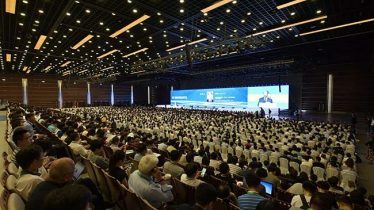 The 2019 World Transport Convention (WTC 2019) will convene at the China National Convention Center, Beijing, from June 13 to 16, 2019. 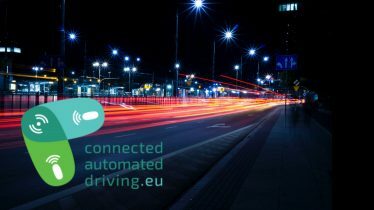 The consortium's vision is to pave the way towards a sustainable and profitable 5G deployment in Europe and beyond, to significantly advance beyond the state of art, connected and automated driving functions and thus to accelerate the take-up of automated vehicles. 5G-MOBIX is part of the European Commission’s 5G Public Private Partnership, which is a joint initiative between the European Commission and European ICT industry (ICT manufacturers, telecommunications operators, service providers, SMEs and researcher Institutions).